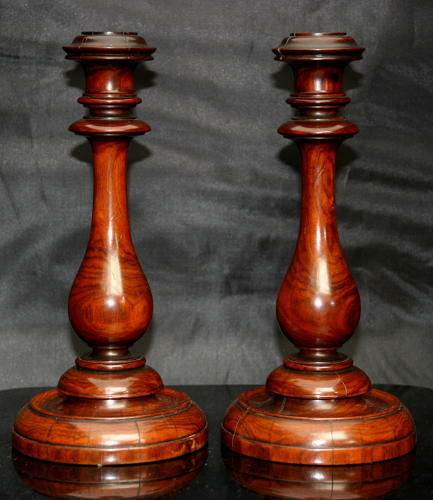 A pleasingly weighted pair of fine exotic type wooden Candlesticks, early 19th century. Lovely colour, fine timber small splits to sockets,not serious. Old baize on the undersides.